What animals will you see on a visit to the Zoo during the off-season? 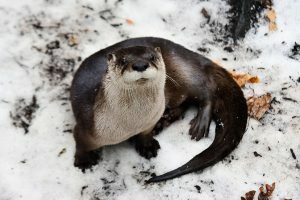 See below for a list of the exhibits and species you’re likely to encounter during winter months at the Zoo. 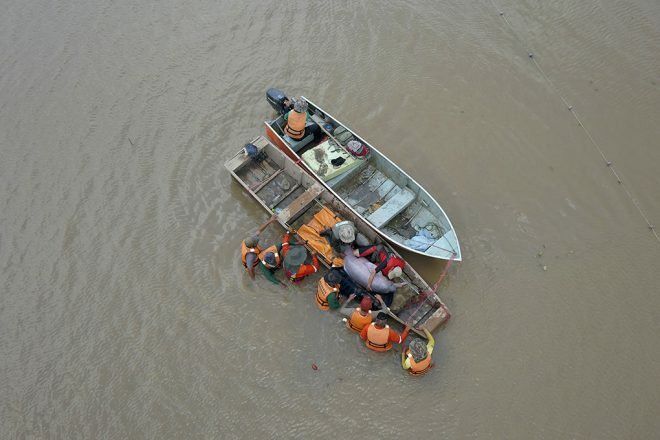 Which animals you see is largely dependent upon weather conditions. During extremely cold temperatures, this list may change due to the needs of our animals. 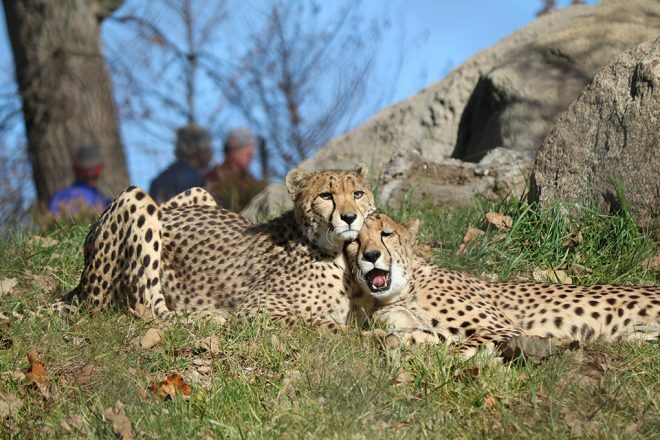 While every effort is made to allow animals to enjoy their exhibit spaces the health and safety of the Zoo’s wildlife is considered first. The polar price plunge is ON! Admission tickets are only $12 now through the end of February. Look for updates and any weather-related closings on the Zoo’s website and Facebook page. Prairie dogs will remain on exhibit. 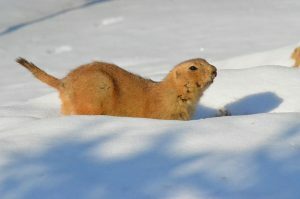 They may choose to stay underground in extreme winter conditions but will likely be out regularly throughout the winter. 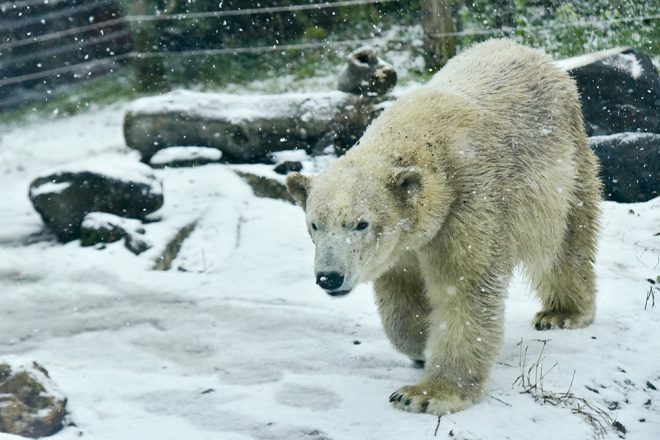 The Zoo’s two polar bears will remain on exhibit, though they are given the choice to spend time outdoors or in their behind-the-scenes den area. Click here to read more about our new bears. Ravens, arctic foxes, and bald eagle will remain on exhibit. Grizzly bears will remain on exhibit, though they are given the choice to spend time outdoors or in their behind-the-scenes den area. 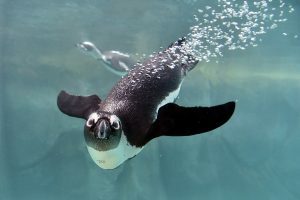 African penguins will have outdoor access and may be visible especially during feeding time (10:30 and 3:30 daily). 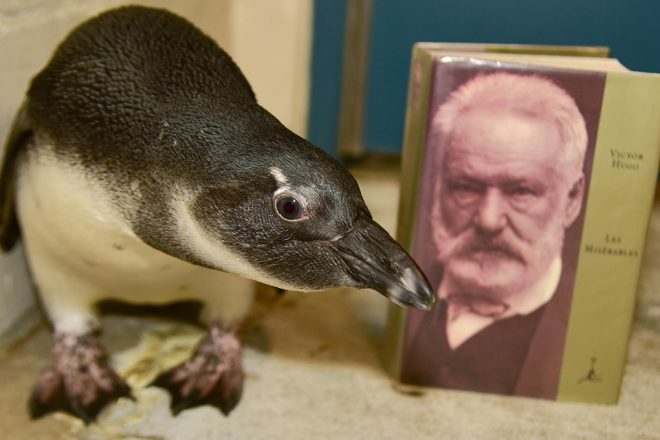 Penguin Encounters are available all year round – NEW! Gift an Encounter. Pink-backed pelicans and white-breasted cormorants will remain on exhibit as weather allows. Red-crested pochards will remain on exhibit in the African Aviary, blue duikers and all other birds are off exhibit for the season. The Chimpanzee Forest will remain open and guests will see chimps, colobus monkeys, lemurs, and Panamanian golden frogs indoors. The Giraffe House will remain open and giraffe and okapi can be viewed indoors. Due to potential heat loss in the building, if the temperature drops too low, the building may need to be closed early. Flamingos will be on exhibit throughout the winter and are typically not affected by colder weather. Rhino, zebra and ostrich will be outdoors on days when the temperature allows (typically 40+ degrees). 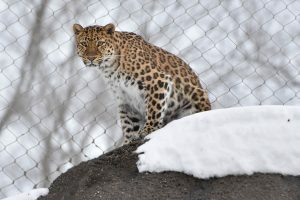 The Amur leopard and cheetahs will be visible on exhibit for most of the season. The leopard is sometimes out in the snow! Bobcat, otters, and hellbenders are on exhibit in all weather. The Giant Tree exhibits will remain open, however, some animals inside are going through brumation and will not be visible. The Zoo’s tree slide will be open! The Marsh Aviary will be open but expect to see fewer avian species than during the regular season. The Farmyard area will be open weather permitting. 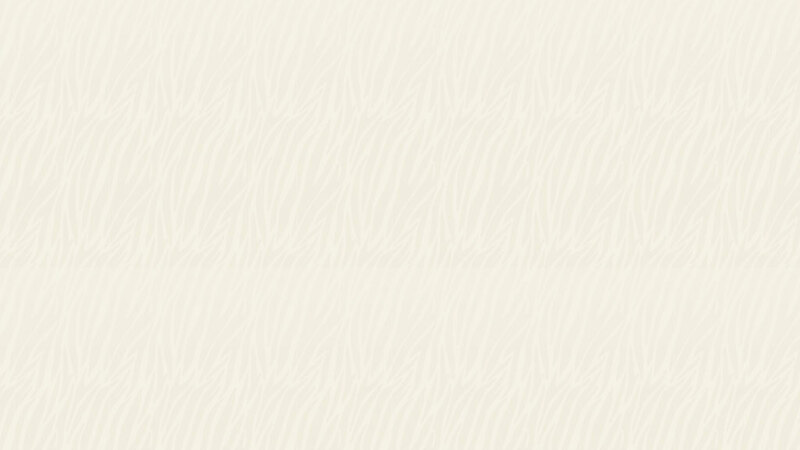 Alpaca, sheep, donkeys and peafowl are visible there throughout the winter. During colder weather, animal ambassadors can typically be found in Chimp Forest and/or Penguin Education Center (staff permitting). Rides will be open as weather allows. This December, our Jones Fall Zephyr will be transformed into the Polar Bear Express! 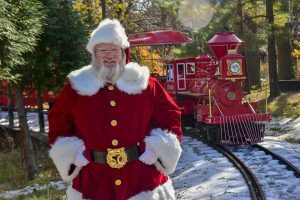 On December 9 & 16, Santa will be visiting to ride the train. The Zoo’s Whistle Stop Grille will remain open throughout the season with a full menu of options. 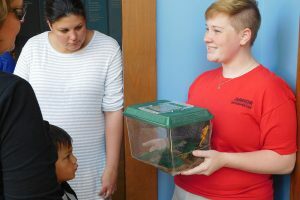 Have a question about a specific animal or exhibit? 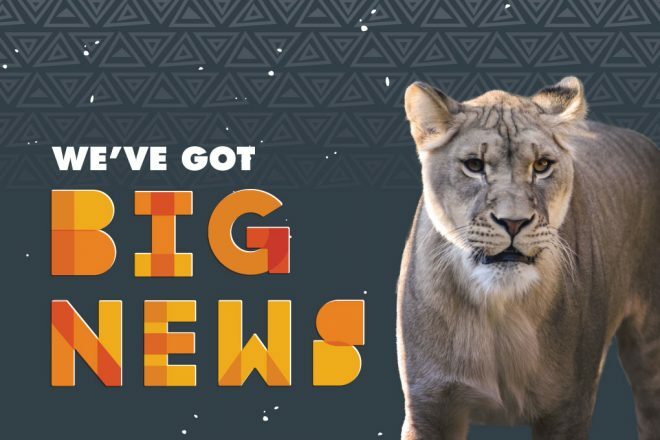 Email us at info@marylandzoo.org.